Yes, that’s right; Valentines Day for 2018 is upon us. Whether you’re a Valentines Day grinch or a romantic at heart, there’s no better time of year to show your significant other how much you love them than February 14th. You could go the predictable route of flowers, chocolate, wine and your seven-hundredth viewing of Love Actually. Yawn. Or, you could get your 2018 valentine something they will really enjoy, and talk about for years to come. We’ve got your back; at Pterodactyl Helicopters, we make it really easy to wow your loved one. Ready to earn those Brownie points? Pterodactyl Helicopters can arrange romantic helicopter flights to suit all personalities and budgets, and will take care of every last detail from take off to landing to ensure that you and your special someone can just cosy up and watch the world unfold beneath your feet. Your 2018 Valentines Day Gift Guide; Pterodactyl Helicopters style. There are so many romantic Valentine’s Day flights and getaways to choose from – take your pick! February brings with it some spectacular evening skies! Surprise your better half with a gorgeous sunset helicopter tour. Includes limousine transfers to the helipad and back to the Metro Hotel, plus dinner, bed and breakfast. 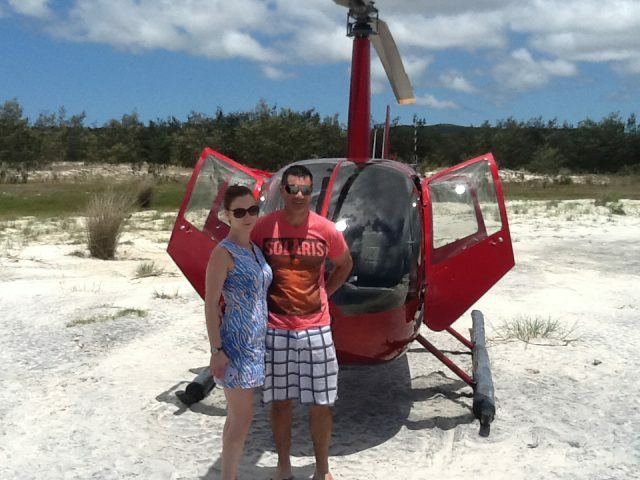 Propose to the love of your life during your helicopter flight to your secluded island getaway. 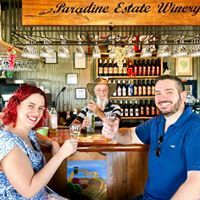 Includes return scenic helicopter flight to beautiful Moreton Island, gourmet picnic lunch (or breakfast) and wine, and souvenir deluxe picnic hamper (plus the added bonus of simply flying off if they say no). Fly to a holiday retreat of your choice, stay the weekend and drive out whenever you’re ready on a Fly in / Drive out Country Escape. Includes helicopter flight to your choice of venue, sparkling wine and cheese on arrival, overnight accommodation, three course dinner, full breakfast, and transfer of your vehicle to the venue. 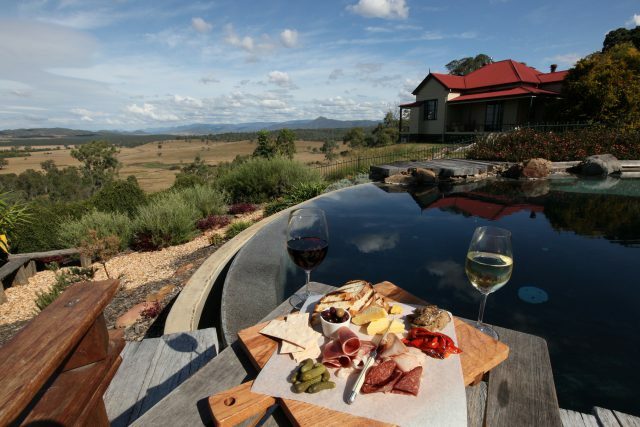 Spice up your love life with an indulgent Country Wine Tour by Helicopter. 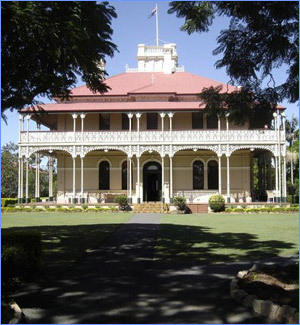 Includes transfer by limousine, helicopter flights to three of Queensland’s finest wineries, and lunch at an 18th Century mansion. 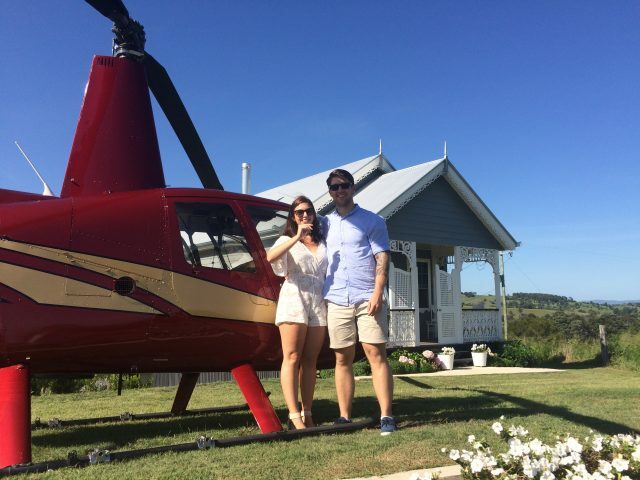 Or, if you are reading this at 11:59pm on February 13th, take the Oops I Forgot About Valentines Day option, and buy a romantic helicopter tour voucher in our online shop. Whatever you choose to do for Valentines Day this year, we hope that it’s special – and we would love to be part of making it so. 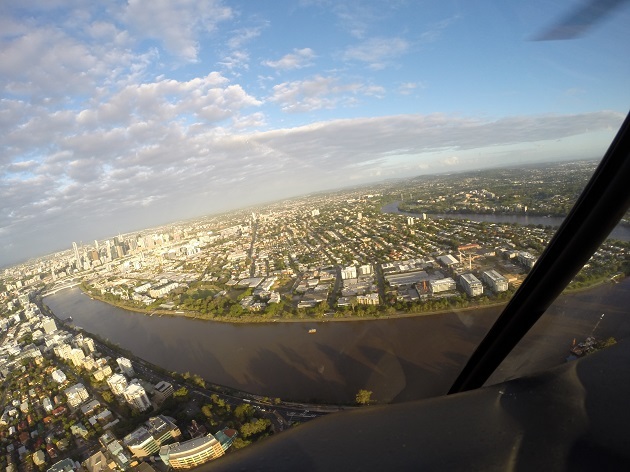 We have listed a number of our package helicopter tours above but there are no limits to what we can arrange to take the stress of finding the perfect Valentines Day gift off your shoulders. Give us a call on 07 3201 0005, or contact us online, and we’ll be happy to help.